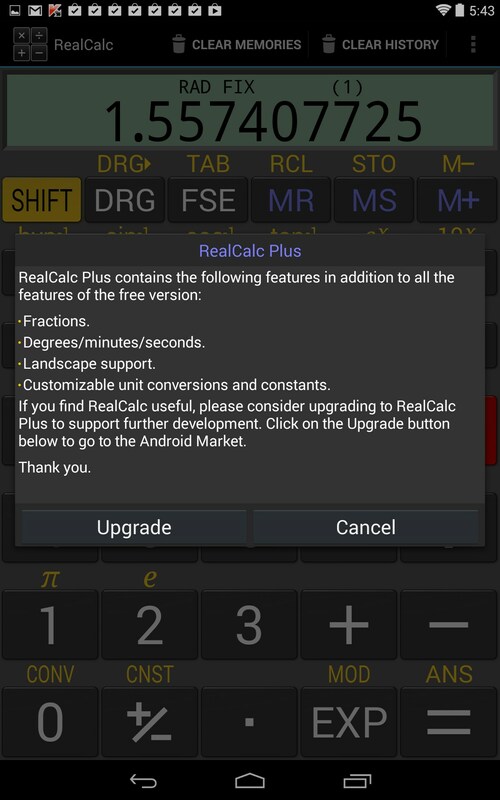 RealCalc Scientific Calculator – Soft for Android 2018 – Free download. 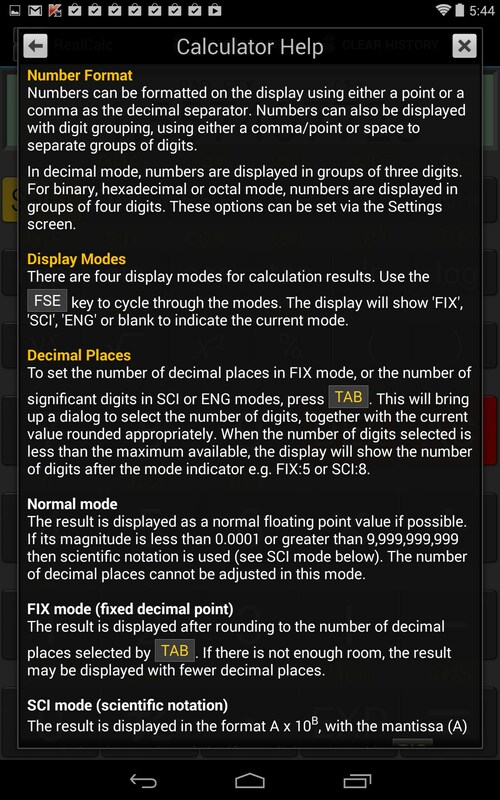 RealCalc Scientific Calculator – A comprehensive scientific calculator with some quibbles. 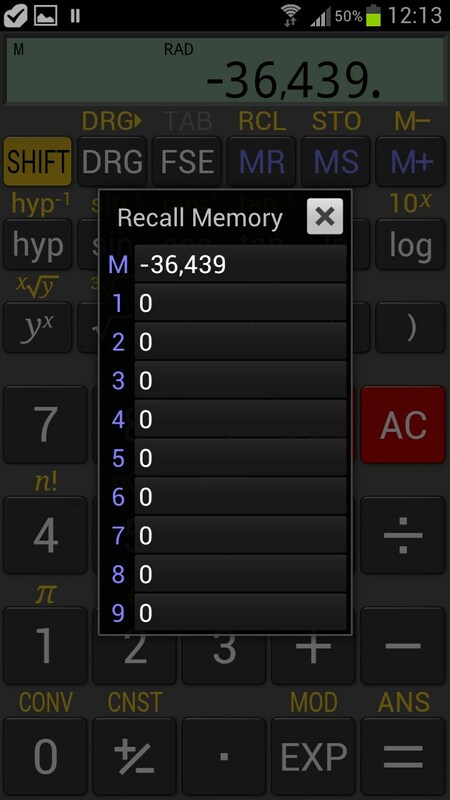 RealCalc Scientific Calculator for Android is one of the more comprehensive calculator apps I've seen. There are a host of functions I simply don’t understand, but true math geniuses will appreciate this one. 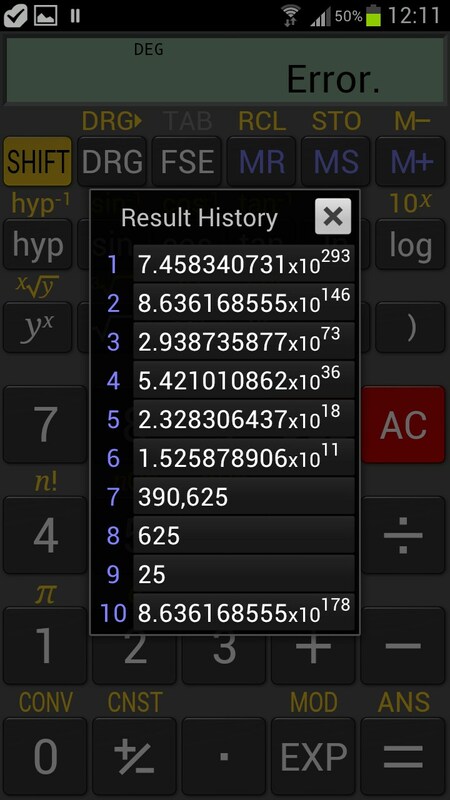 RealCalc Scientific Calculator aims to be the most comprehensive calculator app on Android. 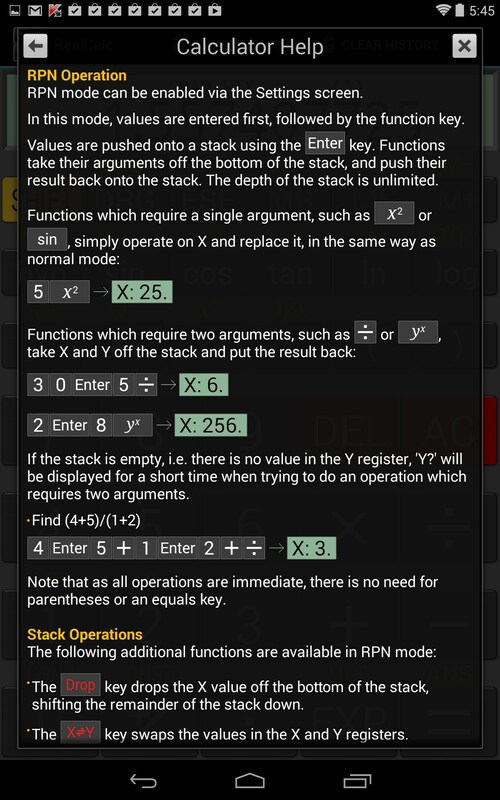 It has an exhaustive set of advanced computing abilities, but the app is very dated in style. 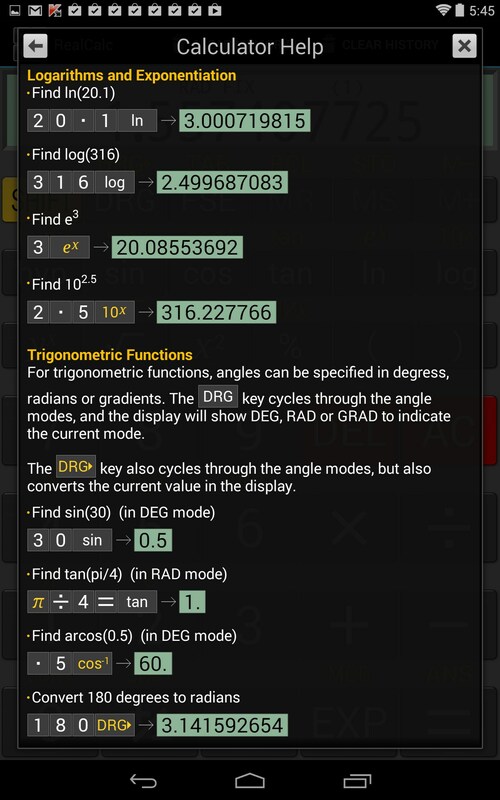 This is a fully functioning app but fractions have been disabled for use in the paid version, along with a few other useful features. 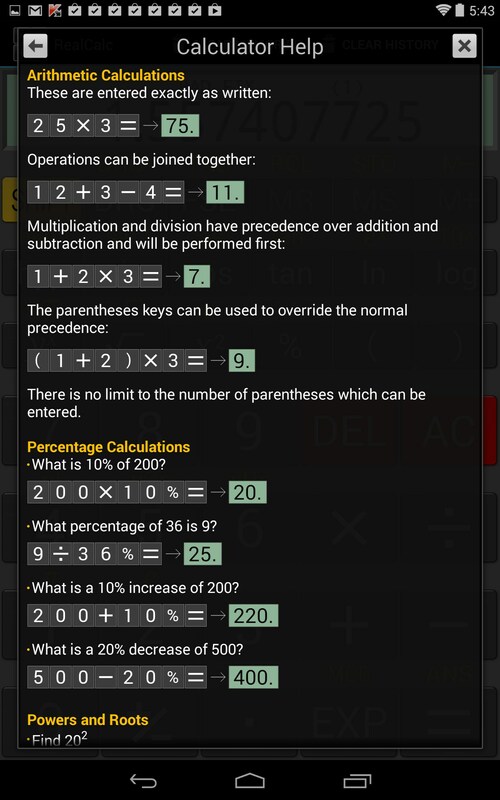 The calculator functions well, but I have read some reports that it does have limitations on how it handles factorials. Users are also reporting that the more complex the tabulation, the more the calculations drift in accuracy; if true, I would think that alone would be the nail in the coffin for this app since accurate tabulations are exactly what it’s for. The layout is about as nice as it can be, given all the advanced buttons on the screen. 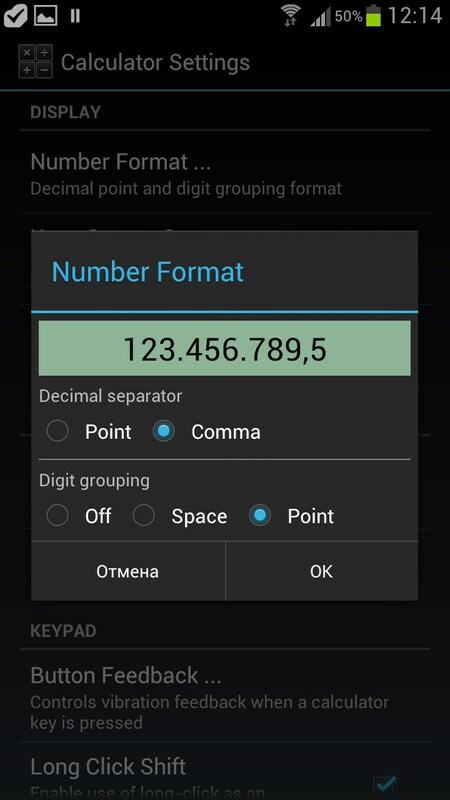 It all looks a little cramped and cluttered, but then, so do real scientific calculators. 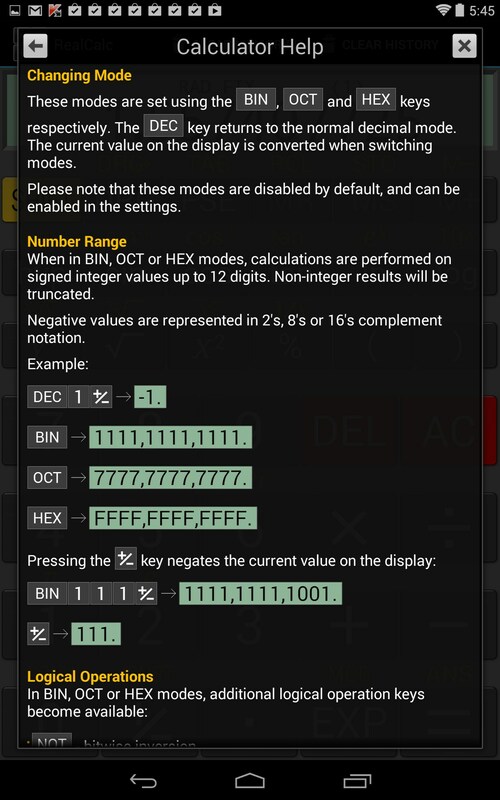 For me, the biggest drawback is the display does not show a history of your current computation; something like, 2+2=4; it just shows the answer of 4. Personally, I like the visual verification that I entered my numbers correctly. But this should be an easy fix. 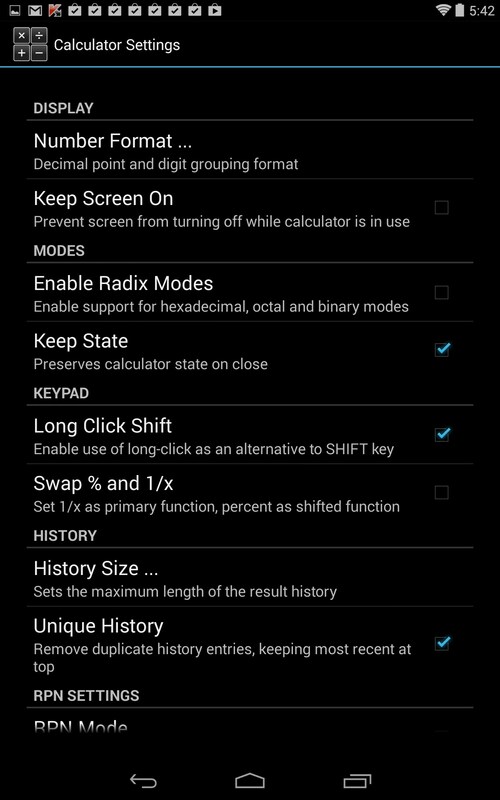 The app also only functions in portrait mode, which probably just helps reduce confusion, since landscape would shift all the buttons around; so I think the developers made a wise choice to stick with just the one screen orientation. 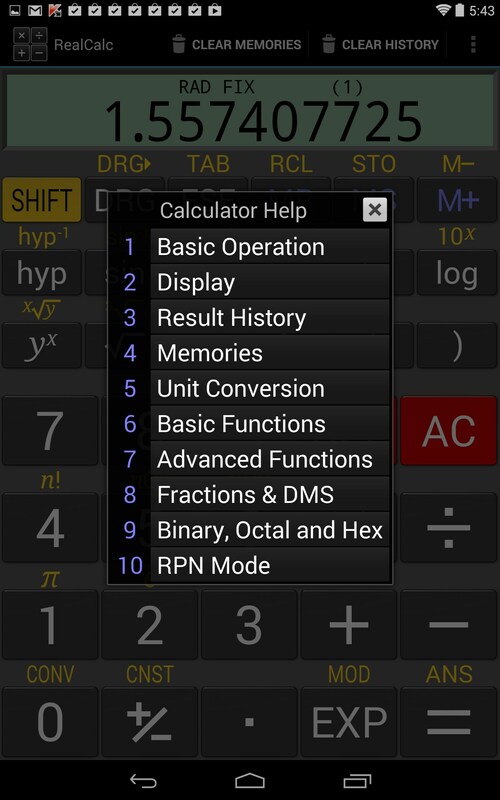 RealCalc Scientific Calculator is the wrong choice if you’re just looking for a basic calculator. The screen is completely cluttered with a host of buttons the average user simply does not need. 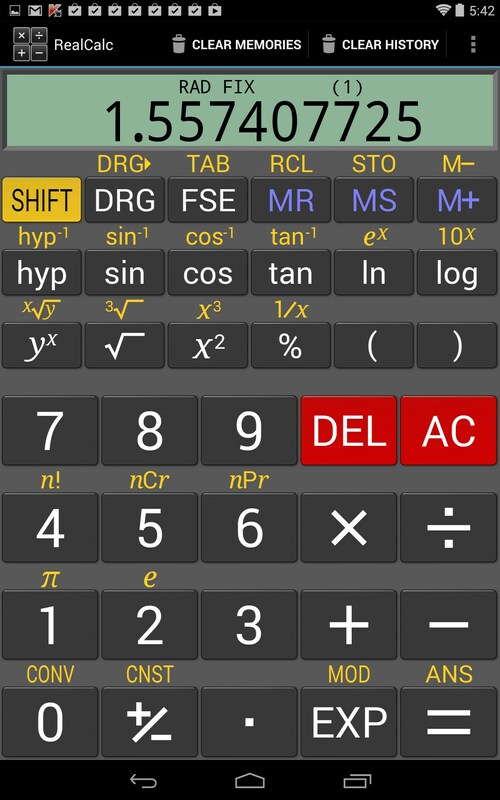 But if you are genuinely in need of a scientific calculator, this one is worth checking out. Just be sure you’re happy with its calculations before choosing to upgrade.